To increase customer satisfaction you can connect your customer care line to a voice assistant. 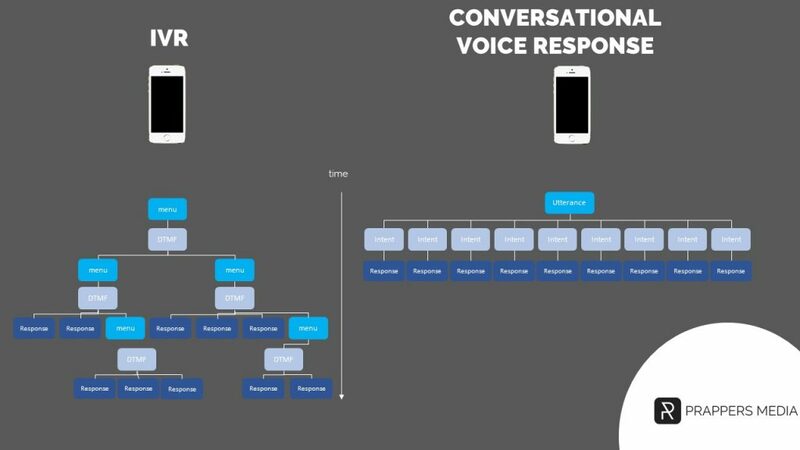 Instead of the traditional IVR systems the user doesn’t have to listen to menus with choises and hierarchy, they just tell what they want. Another big benefit of this is that it uses the same technique as your Google Action. You create it ones and users can access it by calling a phonenumber or by talking to their Google Assistant / Home. It is a relatively cost efficient and easy to implement solutions. Imagine if people had conversations like this: When someone calls a business they don’t hear a menu but someone who ask “how can I help you” and then response with the appropriate answer. Intent-based Natural Language Understanding (NLU) systems that voice assistant interact like a real person would. They take what the user says (their utterance) and match it to an intent which indicates a response. 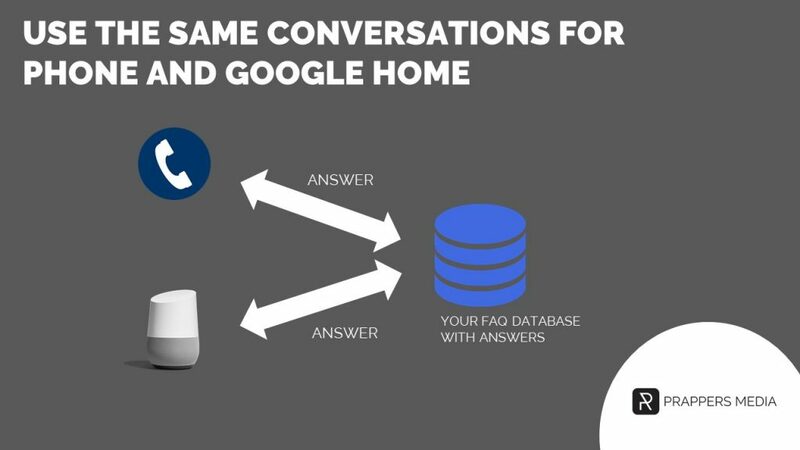 Conversational bot systems are actually much more dynamic than this with follow-on intents, response variations, and other options for slot-filling, but the core concept is the same. Extract data out of a Frequently Asked Questions (FAQ) document and make it available for the assistant to use in its responses to a caller. An easy way to this is via Google’s Knowledge Connector. 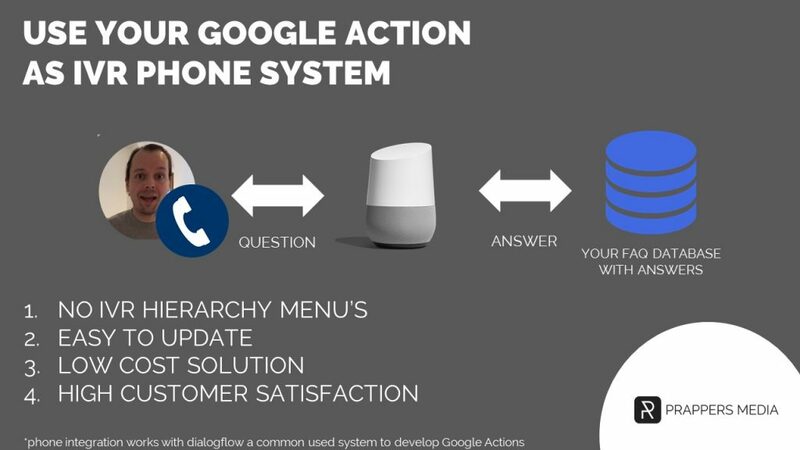 This makes it relatively simple to build a voice assistant replacement to a informational IVR with the added bonus that the assistant can be reused on other media too, like on the Google Assistant.